Chiropractor Minneapolis St. Paul – Your New Year’s Resolution? Make It Chiropractic! The resolutions you set out to achieve often marks the start of the new year. Much like most people, health is on top of the list that needs improving. Without good health, it is nearly impossible to meet your other resolutions. Watch this video now to find out why Chiropractic is the key to achieving your resolutions this year. Click the Red More Button in your email or the image below if you are on our website. How effective are common medical treatments compared to Chiropractic treatment for frozen shoulder syndrome? Frozen shoulder syndrome effects 2% to 5% of the general population, who often receive treatment consisting of non-steroidal anti-inflammatory drugs, steroid injection and shoulder surgery. How effective these are and how they compare to chiropractic treatment may surprise you. Watch this video and find out. Click the Red More Button in your email or the image below if you are on our website. Chiropractor Minneapolis St. Paul – In The Relief of Disc Herniations Which Treatment Wins? 148 Patients (between ages of 18 and 65 years) with low-back pain, leg pain, and physical examination abnormalities with concordant lumbar disc herniations were evaluated by a study. Watch this video now to find out how which treatment was the most effective. Click the Red More Button in your email or the image below if you are on our website. Are certain age groups or adults needing injury rehabilitation the only people who should receive chiropractic care? Think Again! Chiropractic services have many benefits for all age groups from young to old. 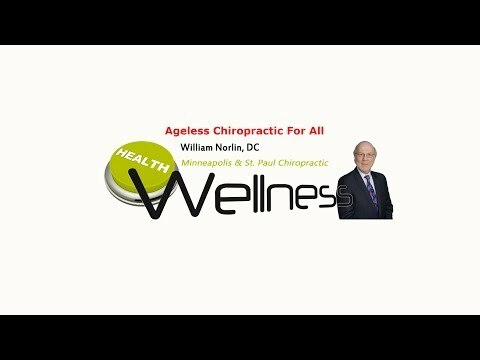 Watch this video now to find out just how chiropractic can benefit you. Click the Red More Button in your email or the image below if you are on our website. Chiropractic services are an integral part of the “medical team” that manages and prevents injuries for all 32 teams in the National Football League. Do you know why? The players choose Chiropractic and you should too. Watch this video to find out why. Click the Red More Button in your email or the image below if you are on our website. Opioids have only a very limited efficacy when addressing spinal pain, with the recommended use limited to three days. Surgery, too, has at best a limited role in the management of spinal pain, and is only considered appropriate in a handful of cases per hundred patients. So while there are many attempts to deal with the opioid epidemic, what is the best course to follow? Watch this video right now to find out what is the most natural, effective treatment for back pain. Click the Red More Button in your email or the image below if you are on our website. The beneficial bacteria that live within your intestines are best “fueled” by nutrient sources that come from prebiotic compounds. By maintaining balance and diversity of intestinal bacteria, especially increasing the presence of “good bacteria” called lactobacilli and bifidobacteria, they, the prebiotic compounds, play a fundamental role in preserving your health. Watch this video right now to find out what are the best food sources to give you all the prebiotics you need. Click the Red More Button in your email or the image below if you are on our website. Chiropractor Minneapolis St. Paul – Over The Counter Pain Killers – Dangerous? Ibuprofen and over-the-counter painkillers do have deadly risks. Non-steroidal anti-inflammatory drugs are among the most commonly used drugs in the world and easily available to anybody over the counter. The problem is they are also some of the most dangerous. Watch this video now to find out why these drugs may kill more than pain. Click the Red More Button in your email or the image below if you are on our website. Chronic inflammation, a serious health and silent killer, has been linked to nearly every chronic disease, including cancer, heart disease, diabetes and Alzheimer’s. Watch this video now to find out six things you can do right now to lower chronic inflammation in your body. Click the Red More Button in your email or the image below if you are on our website.